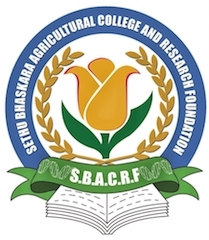 Welcome to Sethu Bhaskara Agricultural College & Research Foundation! Dr. Sethu Kumanan, the Founder of Sethu Bhaskara Agricultural College and Research Foundation is an ardent admirer of Dr. A.P.J. Abdul Kalam. His adoration for this great personality has enhanced tremendously after his meeting with the People’s President at the Rashtrapathi Bhawan on 2004. Globally agriculture is the predominant industry than any other industry. Growth in agriculture production with value addition will not only increase the per capita income of the farmers, but also support increasing need of food and raw materials in the urban sector. Enhancing agriculture productivity is the key for agro-food processing and related industrial, manufacturing and service sector growth. Observing the decline/waning of people’s interest in Agriculture on account of their fascination towards white collar jobs in cities, Dr. Sethu Kumanan set up the Agricultural College and Research Foundation in the remote village of Karaikudi District – Visalayankottai.with a noble vision. With a purpose beyond one’s own self-improvement – to serve the mother country working for its uplift and Develop Backbone of India. Former President of India, while appreciating the contribution of Indian poultry industries, said that poultry farming in India has transformed from a mere tool of supplementary income and nutritious food for the family to major commercial activity generating the required revenue. He also mentioned, ‘the Indian poultry production is considered the cheapest in the world. About 3 million farmers and 15 million agrarian farmers are employed in the poultry industry that grow poultry ingredients for feed and contribute about Rs 26000 crore to the national income. India was positioned 17th in the world poultry production. He expressed his concern for the shortage of quality feeds and suggested, for increasing the supply of green herbage, conservation of degraded pasturelands and development of wastelands strategies are needed, he further added, feeding strategies for ruminants in tropics should also include environmental protection, through reduced methane emission, apart from increasing the productivity of ruminants stock.